There's something special about someone who can perform at an optimal level when the stakes are high and time is running short. We love to see the dauntless doctor spring into action to rescue the patient whose vital signs are dropping rapidly. How about the fearless firefighter who's able to maintain a certain level of focus & concentration as smoke & flames surround him and threaten to consume him alive! Remember the heroic winning shot that Michael Jordan made with 12 seconds left against the Utah Jazz in 1998 that resulted in a storybook ending that helped the Chicago Bulls win their 6th & final championship? In your life, you may not be asked to carry your team to a championship or save lives on a daily basis, but everyone experiences a situation when they must perform well under pressure. Perhaps you have a presentation to give in front of a large audience. Maybe you have a deadline that you have to meet. You may even have a very important interview or meeting that may impact your career path to greater & better heights. Great athletes, entertainers, leaders, and many other extraordinary performers understand that the difference between themselves and average performers is their ability to excel in high stress & high pressure situations and conditions. We all tend to react differently when dealing with stress and high pressure. Some are able to assess a situation and spring into action to tackle the challenge. Others aren't so lucky - folding under pressure and producing below than average performances. The ability to control these as well as physiological & emotional responses may determine your performance. Is pressure a bad thing? The answer is a mixed 'yes & no'. There are some great advantages to adding pressure to a situation. One of the laws that I follow when completing any task is 'Parkinson's Law'. This law states that "a task will swell to fill the time allowed to complete that task". In other words, if you give yourself an hour do to something, it will take an hour to do. If you give yourself 30 minutes to do the same task, it will take 30 minutes because you will focus on only the importance aspects and remove unnecessary time fillers. When the pressure is on and things have to get done, your mind & body may cooperate hand-in-hand meeting your accomplishment. In sports, the ability to handle pressure is the gauge analysts and fans use to determine how good an athlete really is. One of the worst labels an athlete can be tagged with is the guy/girl who chokes when the game is on the line! The greatest athletes of all-time are known for using the enormous pressure that would crush an average human and turning it into an opportunity to display how great they really are. There are also firefighters (FYI - my dad is a retired 30-year vet of the fire dept. ), paramedics, musicians whose entire profession requires being able to perform under pressure. On the other hand, pressure can crush a person if not handled correctly. 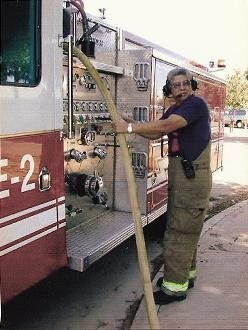 My personal hero - my dad in action! A few weeks back, I traveled from Seattle to Long Beach, CA to attend the Perform Better 3-Day Functional Training Summit - a weekend long conference that invites professionals in the health & fitness industry to learn the latest & greatest concepts, research, protocols, methodologies and applications as they relate to health, exercise, fitness, sports & athletic performance, daily living and nutrition. On my return flight home, I had the privilege to have access to satellite TV making my flight more enjoyable as well as making it a fast trip. As I flipped through the channels, I came across ESPNHS and a show (that I have never seen before) called 'Elite 11'. The show starred former NFL quarterback Trent Dilfer (who attended Fresno State University - which is roughly 40 miles north of my hometown of Tulare, CA) as the director and head coach of a football camp for high school quarterbacks. 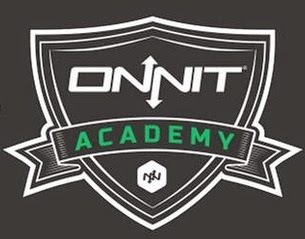 The camp, known as 'Elite 11', is the nation's premier quarterback competition where 24 of the nation's top prep QB's are evaluated by Dilfer and his team of coaches for skill, on-field intelligence and overall performance. I grew up playing football as a QB and I can tell you that this position is very complex - you must always be ahead of the other players, not just knowing your own assignments but everyone else's (particularly those of the backs & receivers), memorizing the playbook, knowing your pass routes, reading the defense - linebackers, the secondary, when a blitz is coming, knowing when to audible and change the play at the line of scrimmage, keeping track of play clock, knowing when to call a time-out, calling the appropriate offensive set-up, etc. Going back to the 'Elite 11", the show was very entertaining and educational to say the least. I watched as these young men competed for 3 days to be named to the Elite 11 squad. Some of these athletes had already signed letters of intent to play ball at major universities throughout the nation. A few others had no offers but showed promising skills to have looks from scouts go their way. During this particular episode, all 24 QB's would compete in passing routes and be judged on accuracy, speed, tempo, defensive reads, and ability to move the ball up field. At the end of each day, the coaches would rank all the players and post the results outside their dorms. It was at this time that players could see where they ranked among their 'competition'. For some, the fuel of competing against the top QB's in the nation was more than enough to get them fired up to do better the next day. For those who finished within the top ranks had the pressure of maintaining their roster spot or move up a few notches and take their game to the next level. As each day progressed, players moved up & down the roster. However, one thing was constant among them all - the pressure to perform at their optimum. A 2-minute offensive specialist/coach walked into the meeting room one day and discussed the importance of scoring a touchdown within 120 seconds. How will you drive your team up field when you're team is down and the clock is ticking? What will your play calling strategy consist of? How fluidly will you orchestrate the offense to perform and be cool under pressure? It's not easy, but it's a challenge that must be taken head on in order to complete the task. Here's something was introduced by this offensive specialist/coach to the players that I want to share with you. It's a simple drill allowing you to evaluate yourself and how you perform under pressure. You all know your ABC's, right? I'm also pretty sure that you can count from 1 to 26, correct? Now, without writing anything down, I want to you pair up the letters of the alphabet with the corresponding number starting with 1 thru 26. For example, A1, B2, C3, D4, etc., all the way to Z26. See how high you can get as you pair each letter and number in sequence. As you progress, you'll see that the pressure to get each pairing correctly will start to mount up. How will you react? Will you be cool? Freak out? Quit? Or will you succeed and complete the task? Try it & see. As my plane started to descend, the program was also coming to an end. After 3-days of competition, 11 of the 24 QB's were named to the 'Elite 11' squad while the remaining 13 were given an amazing, once-in-a-lifetime opportunity to compete among the best athletes in the country. Players that initially ranked at the bottom stepped up their game and were chosen to the top. Others who performed at the top dropped down the ladder. Regardless, these were the TOP 24 prospects within the country! The COUNTRY! That's awesome regardless of where they ranked. In the end, Dilfer became emotional for the simple fact that naming the 'Elite 11' squad was the hardest thing he had to do. Some players dreams of being among the best of the best came true while others fell short. 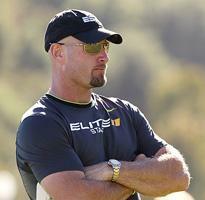 In Dilfer's eyes, the 13 players that remained had nothing to be ashamed about. They all improved in many ways, not just as it relates to football! These guys showed amazing character and poise and the ability to keep their chin up when the chips were down. They displayed a level head and the ability to think critically and reformulate their strategy to improve and get better each and every day. I don't know about you but these sound like applicable tactics that we use in our daily lives. As Dilfer told the 13 young men that remained, "I want you to be the 'Elite 11' within your school, community, your workplace, your peers, your friends and loved ones. Be the 'Elite 11' in all that you do and all that life has to offer. If you do that, you will be successful no matter the adversities, challenges and pressure that comes with the obstacles you will face each day." No matter what, the 'Elite 11' mentality is something that we should all encompass and learn from in our quest of never-ending improvement! Let ourselves the the quarterbacks of our lives as we build our offensive strategies to perform at our best as we face our biggest opponent - the real world! Success - How Bad Do You Want It?